Last week we detailed the news of Quebec's proposed Bill 791 which would make points expiry and points devaluation illegal. 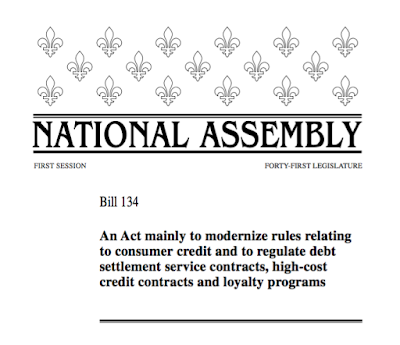 Good news is that on May 2nd, the Quebec government seems to have forgone with Bill 791 and are moving ahead with Bill 134 which no longer stipulates the points devaluation. 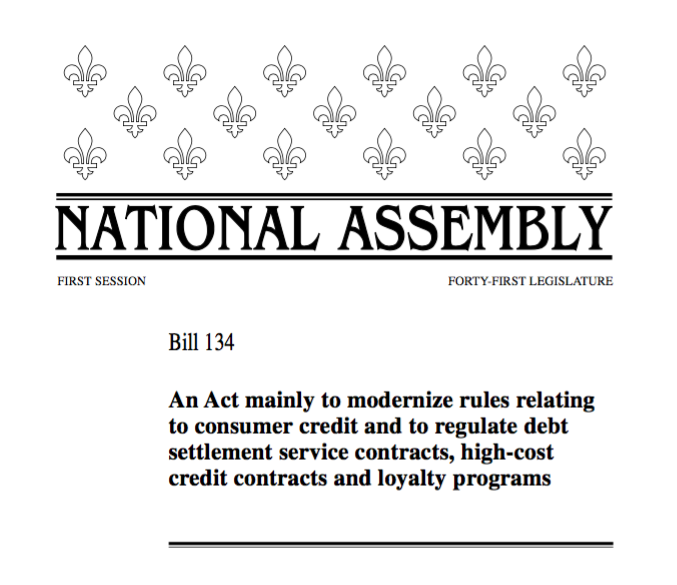 Overall this is great news as had Bill 791 actually been passed, loyalty programs would have found ways around the retention of mile and point value. Namely by not participating in Quebec like mbna chose with their Alaska Airlines credit card or by adjusting the earn rates on miles and points. It does appear however that the mbna Alaska Airlines credit card is still available in Quebec at this time despite mbna telling us otherwise as when you go to the application page there is no stipulation that it is not. I'm going to reach out to mbna once again to see if I can get further clarification on what they told me last week. As to expiry, Quebec will match Ontario with the law if and when the bill passes. Seeing that most programs removed their expiry rules after the Ontario bill passing the Quebec bill is more of a protectionist move for possible future changes to programs. It is possible other provinces may follow suit but with our two most populous provinces having the rule it is very unlikely loyalty programs will ever put in place expiry rules for the provinces and territories outside of Ontario and Quebec. Thanks to our twitter follower @YulflyMontreal for letting us know about the new Bill 134!